Lighting and ventilation are the essential functions of domed rooflights. 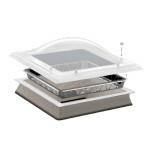 However, domed rooflights pose a significant risk to people on the roof. Unfortunately, accidents that often have serious consequences happen repeatedly. Likunet® is the ideal solution for retrofitting to existing domed rooflights to prevent the risk of falling through them. It is fitted between the existing upstand and the open rooflight and thereby protects anyone on the roof from falling through. The attractive, net shaped structure ensures approx. 90% unobstructed surface area and allows good illumination of the areas beneath it. 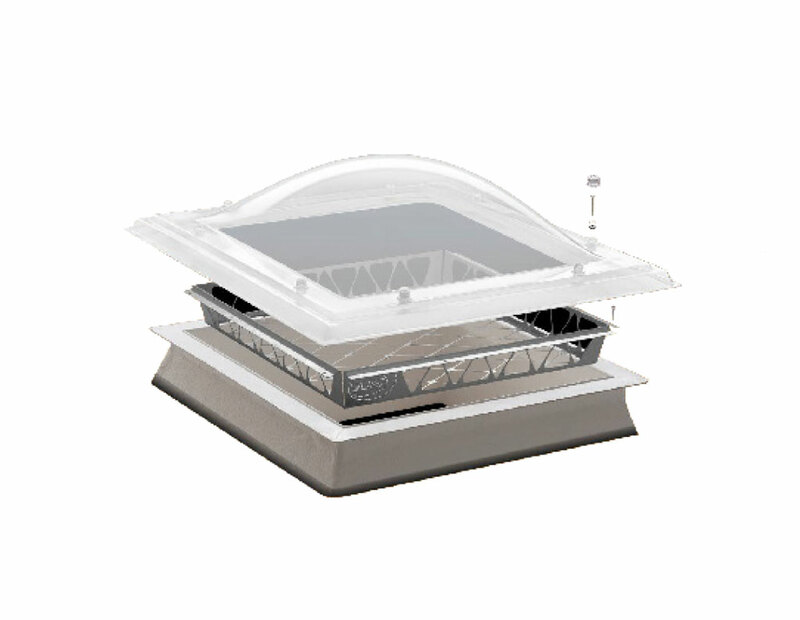 With Grün Likunet® we provide the ideal solution for retrospective protection of existing domed rooflights. 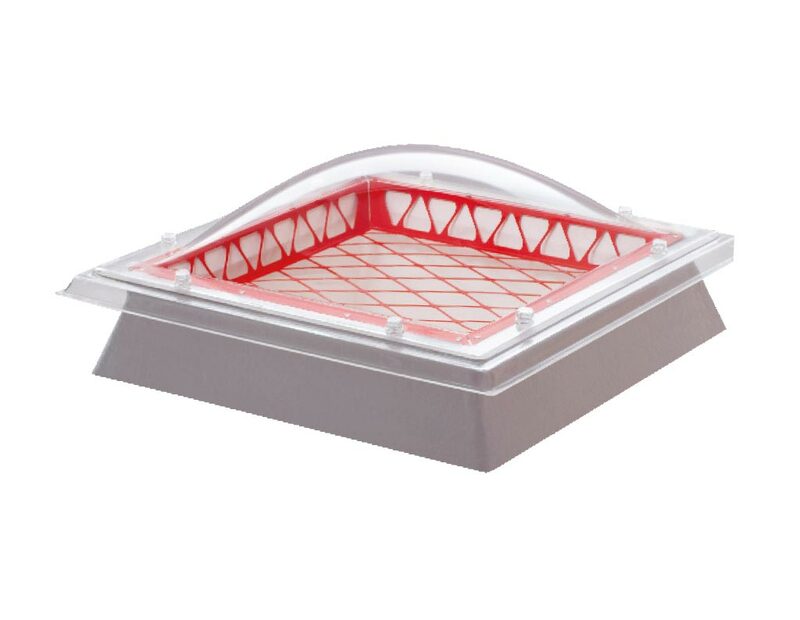 It can be fitted at little cost, during maintenance work on the rooflights, for example. is the ideal solution for retrofitting to existing domed rooflights to prevent the risk of falling through them. is fitted between the existing upstand and the open rooflight and thereby protects anyone on the roof from falling through in future. also saves homeowners and planners from the unpleasant consequences of liability under the Act on Coordination of Building Work (Bauarbeiterkoordinationsgesetz). has an attractive, net shaped structure that ensures approx. 90% unobstructed surface area and allows good illumination of the areas beneath it. Can be fixed on virtually all intact upstands. Likunet® is inserted in the upstand and fixed with the screws provided. The grid can be cut out in small areas for fan motors. For smoke and heat extraction bridge structures, using a domed rooflight with integrated net between the walls is recommended.